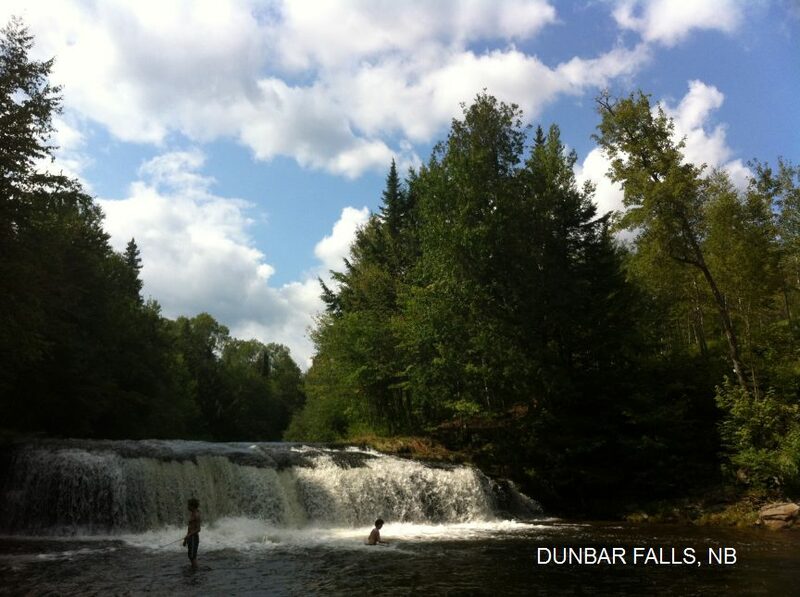 This from a visitor: "Waterfalls on Seymour Stream, which flows into the Nashwaak River at the Dunbar Pool. Like a mini Niagara Falls where you can lounge around in the water. (There is also a tube rental place near here). Enjoy wading around in the knee-deep stream but be careful of the current. If you can cross, there's an entrance to a small shelf behind the waterfall where you can relax under the falls. You can also climb up and sit above the waterfall in the cool moss." From downtown Fredericton, cross the river and take RT 8-N north towards Miramichi. Just past the Durham Bridge will be a dirt road on your left before you cross the Dunbar Stream and before you get to the Nashwaak Tube Rentals. You park here and take the path in the woods that follows the stream north-west about 10 minutes until you get the falls. Fundy National Park is on the north shore of the Bay of Fundy, south of Moncton. Ask for information on the Laverty Falls Trail. One cliff jumping place, one secluded lake coves swimming place. 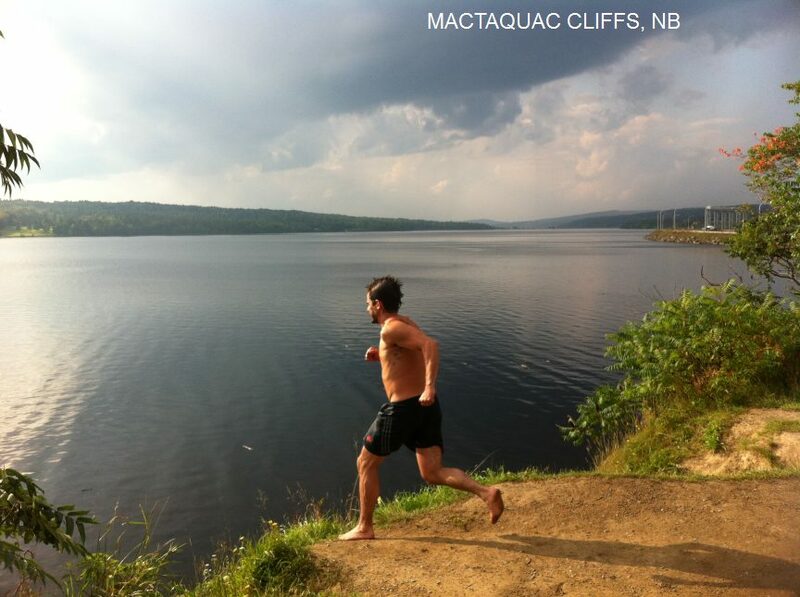 MACTAQUAC CLIFFS [MACL]: Cliff jumping into deep water at Mactaquac Lake (St. Johns River). Unofficial, bathing suits required, no facilities, no fees, be very careful. PHOTO.From the Mactaquac Rd exit (above) you will soon pass the Riverside Resort, then, as you head down to cross the dam there's a dirt road on your left. Drive in and park down at the end. The cliffs are here. Jump at your own risk and never alone. LAT, LON : lat=45.947158, lon= -66.869341(source: measured by another) (accuracy: approximate) LINK TO GOOGLE MAP. Pretty confident. Verified by another. Updated 9/2014. 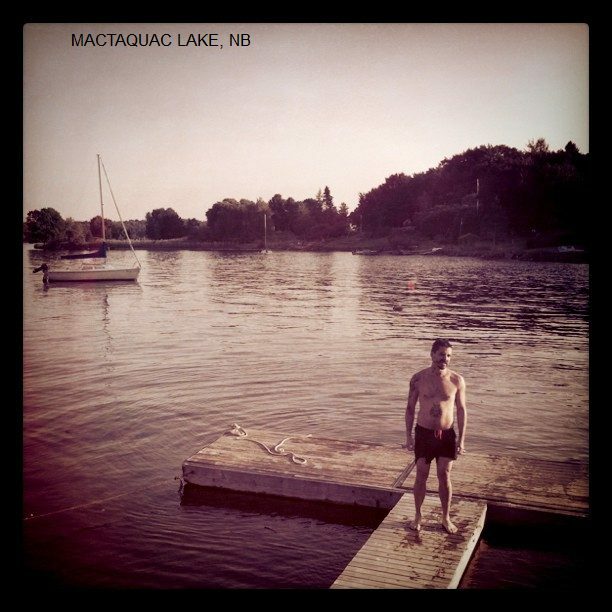 MACTAQUAC COVES [MACT]: Secluded coves for lake swimming. Unofficial, bathing suits required, no facilities, no fees, be very careful. PHOTO. To get here from above, continue on Mactaquac Rd, cross the dam and the road becomes RT 105. Follow past the Provincial Park for about 10 minutes and lookout for coves. After you pass the second cove, as you climb the hill and are headed down, there is a small, hidden driveway on the left. Turn and park at your secret cove for swimming. LAT, LON : lat= 45.905244, lon= -66.910738(source: measured by another) (accuracy: approximate) LINK TO GOOGLE MAP. Pretty confident. Verified by another. Updated 9/2014. 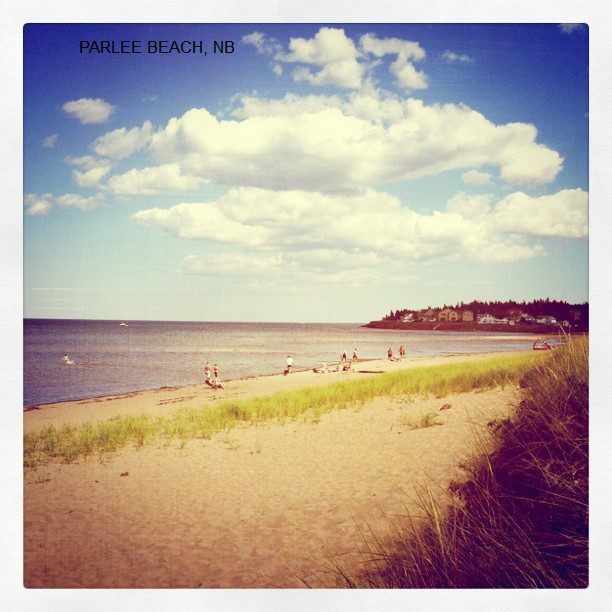 Public beach. Beautifully warm water, nice sandy beach, sandbars with deep pools, sandollars, etc. Web Site. From Moncton, take the 11/15 out of town towards Shediac. 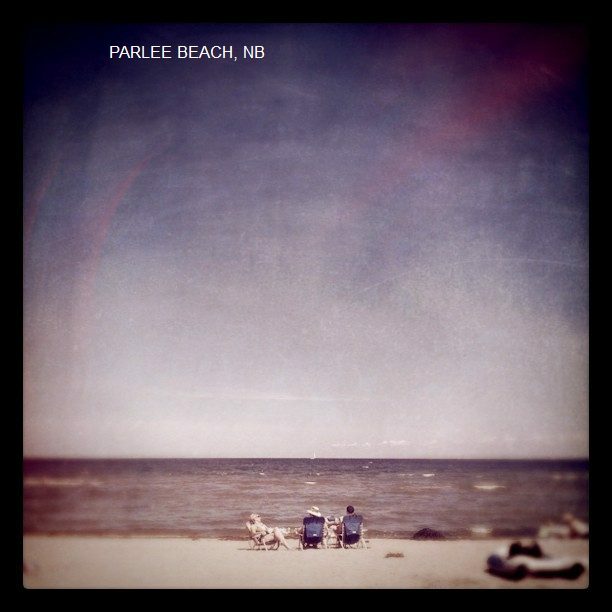 Pass the Shediac exit and take the Parlee Beach exit. Continue straight into the park.